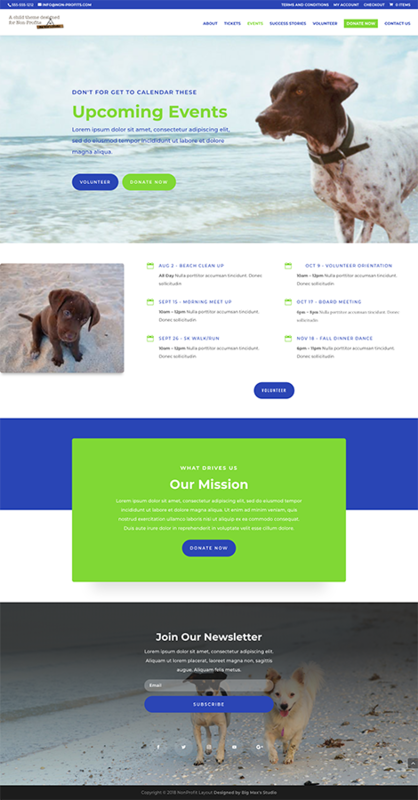 nonProfit is a child theme for the Divi Theme from Elegant Themes. 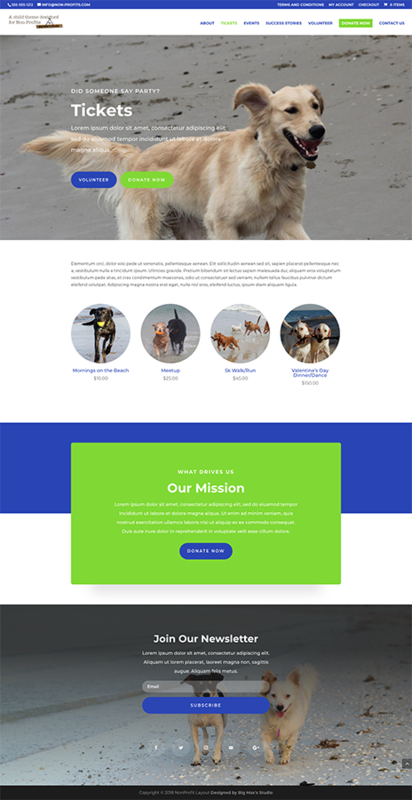 nonProfit is compatible with Divi Version 3+. Designed for any kind of non-profit. 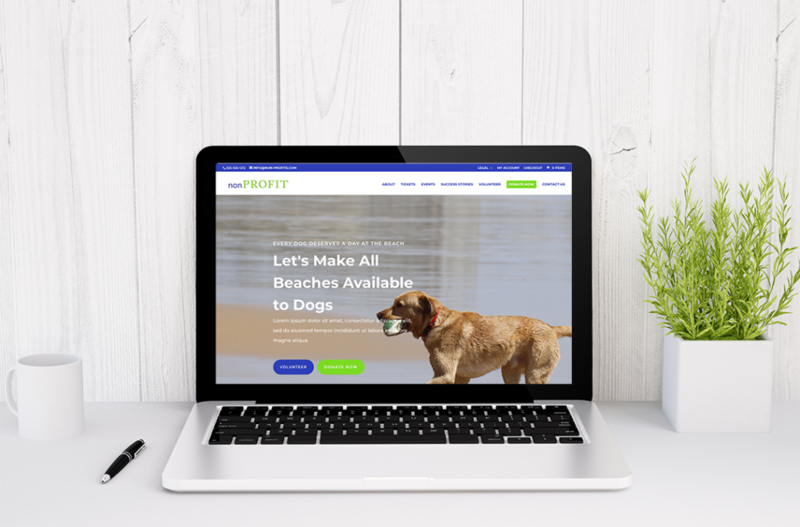 Non-profit is design with everything you’ll need for your client to be up and running fast. 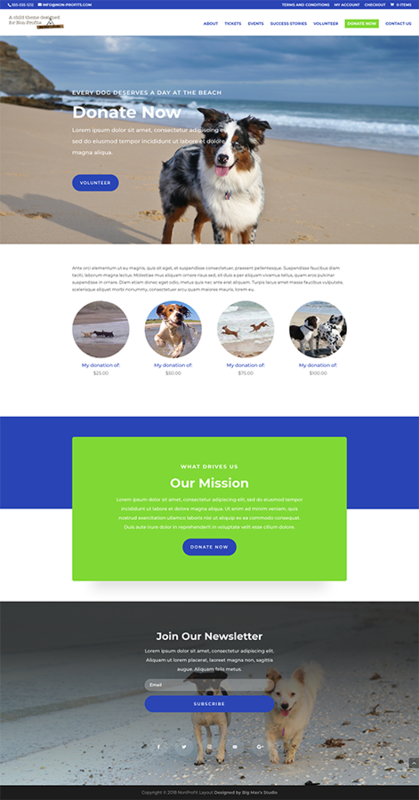 nonProfit has Elegant Themes' "Divi 100 Article Card" plugin installed for blog posts.